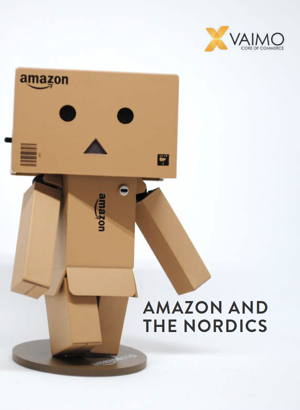 Over the last 18 months, rumours have been swirling around Amazon’s potential entry into the Nordics. Together with Vaimo eCommerce Consultant Andrew Heap, we’ll be cutting through the noise of speculation and provide actionable advice around what Amazon’s introduction might mean for your business and how you can succeed. Download it now to make sure that you’ll have all the tools to succeed in a potential Amazon era!